Author Bio for Kornbluth, Cyril M.
Cyril M. Kornbluth (July 2, 1923 – March 21, 1958) was an American science fiction author and a notable member of the Futurians. 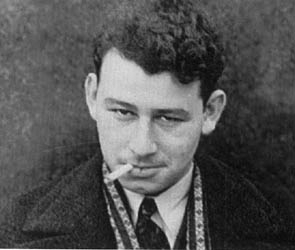 He used a variety of pen-names, including Cecil Corwin, S. D. Gottesman, Edward J. Bellin, Kenneth Falconer, Walter C. Davies, Simon Eisner, Jordan Park, Arthur Cooke, Paul Dennis Lavond and Scott Mariner. 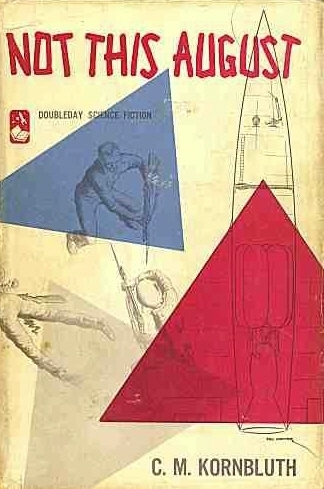 His first solo story, "The Rocket of 1955," was published in Richard Wilson's fanzine Escape (Vol 1 No 2, August 1939); his first collaboration, "Stepsons of Mars," written with Richard Wilson and published under the name "Ivar Towers," appeared in the April 1940 Astonishing. His other short fiction includes "The Little Black Bag", "The Marching Morons", "The Altar at Midnight", "MS. Found in a Chinese Fortune Cookie", "Gomez" and "The Advent on Channel 12". "The Marching Morons" is a look at a far future in which the world's population consists of five billion idiots and a few million geniuses – the precarious minority of the "elite" working desperately to keep things running behind the scenes. In his introduction to The Best of C.M. Kornbluth, Pohl states that "The Marching Morons" is a direct sequel to "The Little Black Bag": it is easy to miss this, as "Bag" is set in the contemporary present while "Morons" takes place several centuries from now, and there is no character who appears in both stories. The titular black bag in the first story is actually an artifact from the time period of "The Marching Morons": a medical kit filled with self-driven instruments enabling a far-future moron to "play doctor". A future Earth similar to "The Marching Morons" – a civilisation of morons protected by a small minority of hidden geniuses – is used again in the final stages of Kornbluth & Pohl's Search the Sky.--Wikipedia. Epub 20110709.epub If you cannot open a .mobi file on your mobile device, please use .epub with an appropriate eReader. Mobi/Kindle 20110709.mobi Not all Kindles or Kindle apps open all .mobi files.